Home»Articles»General Information»Why Is It Mandatory To Obtain A PUC Certificate? 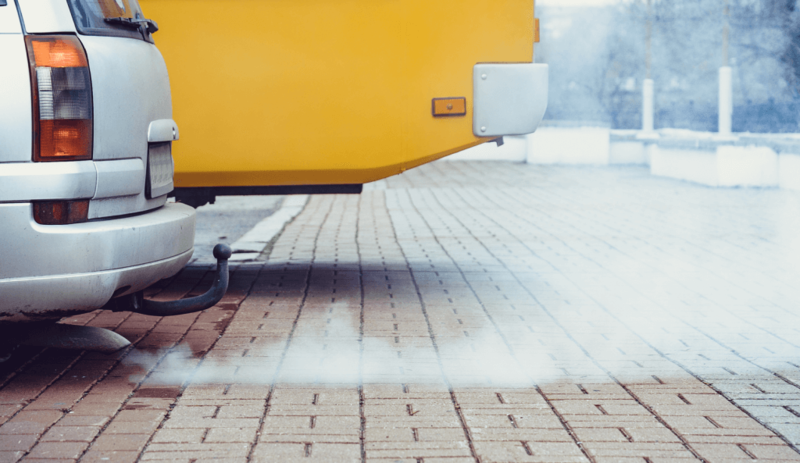 Just as it is mandatory to get at least a Third-party Liability Insurance policy for your vehicle, it is also necessary to get a Pollution Under Control (PUC) certificate for your vehicle. Whether it is a four-wheeler or a two-wheeler, a fuel-driven vehicle causes pollution. These vehicles need to meet basic pollution control norms to be allowed to be driven on Indian roads and avoid Regional Transport Office (RTO) traffic violations. Read ahead to know more about the PUC certificate and how to stay on the right side of the law regarding the same. Pollution caused due to vehicles can have adverse effects on people’s health as well as the environment. At a time when city’s pollution levels are on the rise, every citizen must play their part to curb pollution. Carpooling, choosing public transport, cycling, maintaining your vehicle, and keeping your vehicle’s pollution level in check are small steps one can take for the betterment of the environment. The need for a PUC certificate is felt to ensure that vehicles do not cross the pollution limits and if they do so, then the respective vehicle owners are penalized with RTO traffic fines. The charges to get a PUC certificate are around Rs. 100. Precise cost depends upon your vehicle. Driving a vehicle without getting a PUC certificate or not renewing an expired PUC certificate is an RTO traffic violation. The RTO traffic fine for driving without a valid PUC certificate is Rs. 1000. For repeated offense, it is Rs. 2000. Thus, it is suggested to renew your PUC certificate before its expiry date to avoid RTO fines. 3. From where to get a PUC certificate? It is extremely easy to get a PUC certificate. You might have seen vans near highways with PUC written on them. You can get your PUC certificate from there. Several petrol pump outlets also have a stall from where you can get your PUC certificate. The process takes around five minutes and requires the owner to just switch on the engine for a few seconds. The executive checks the necessary figures as mentioned in the table with the help of a hand-held machine and notes down the numbers. If they are in accordance with the numbers stated by law, you will receive your PUC certificate. The expiry date is mentioned on the certificate, that is when you have to get your PUC certificate renewed. Driving without a valid PUC certificate is illegal and will result in RTO fines. Keep a track of your PUC certificate’s expiry date by setting a reminder on your mobile phone.